Have you embraced blogging for your business? It's a powerful means for connecting with customers and building trust with them. It's also valuable for getting found online. At the same time, business blogging isn't for everyone. It requires a strong committment to publish regularly and consistently. It means that your business focuses intensely on customers and the questions they have. It works best if you are comfortable with your business blog reflecting personality and sounding like a real person is writing it. It demands a plan so you can manage it. It needs to be integrated into your overall business strategy. That said, if your business isn't blogging, it is missing out on benefitting from a powerful tool. If I haven't scared you away, and you're ready for perspective and guidance, I recommend that you download our newest business blogging guide. 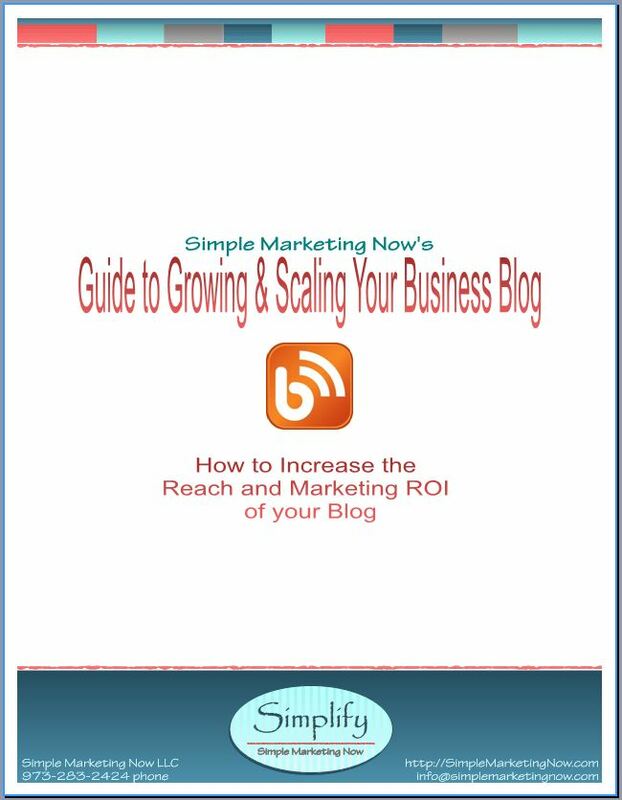 >>Download Simple Marketing Now's Guide to Growing and Scaling Your Business Blog! Let me know what you think. If you are inspired to focus on your business blog, let me know what you discover and what you find most helpful in the guide. Download our Business Blogging Guide! At Surfaces 2013, Sarah Kelly and I teamed up for the second year to discuss social media and how to apply it to business. We had a blast! At the end of it all, Dave Foster from TalkFloor found us and asked us a few questions. The result is a 15:50 minute video titled "Whittemore & Kelly on Social Media, How-To for Business".